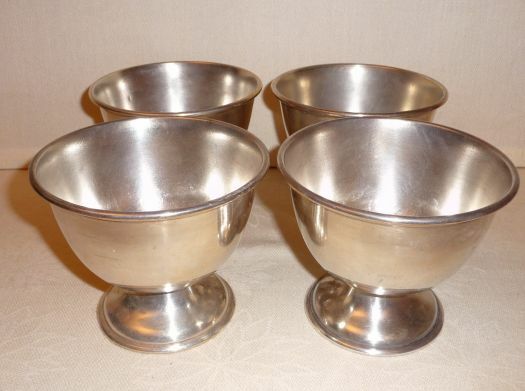 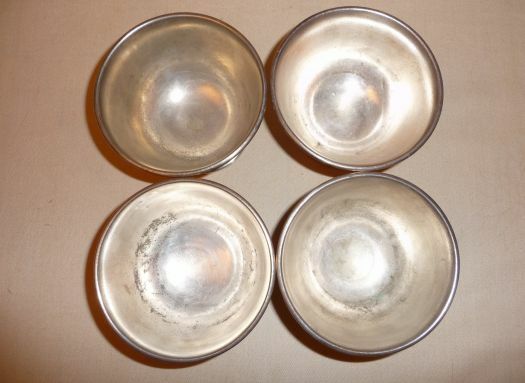 4 finger-bowls in metal covered with silver, they probably come from a restaurant. 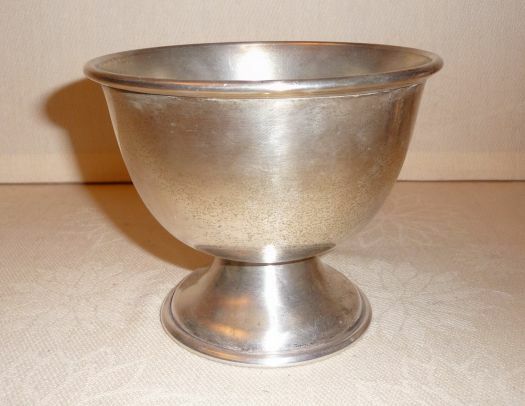 Good condition but some stains inside (silver disappeared at some parts). 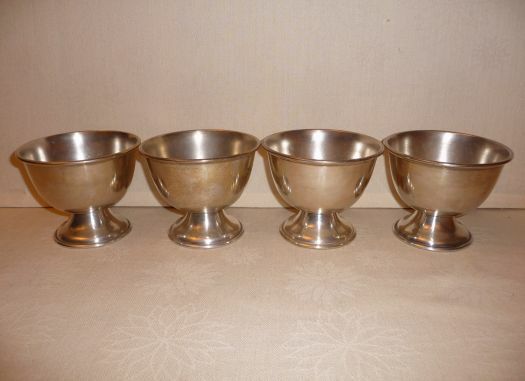 Very elegant on your table as finger-bowls but you could use them differently. 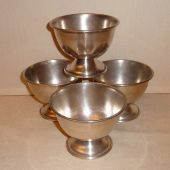 Diameter 13 cm ; height 10,5 cm.